River House is a gem of a venue located just a step out of the heart of St Augustine’s historic downtown. It backs up to the gorgeous banks of the intra-coastal which flows through St Augustine, under Bridge of Lions! 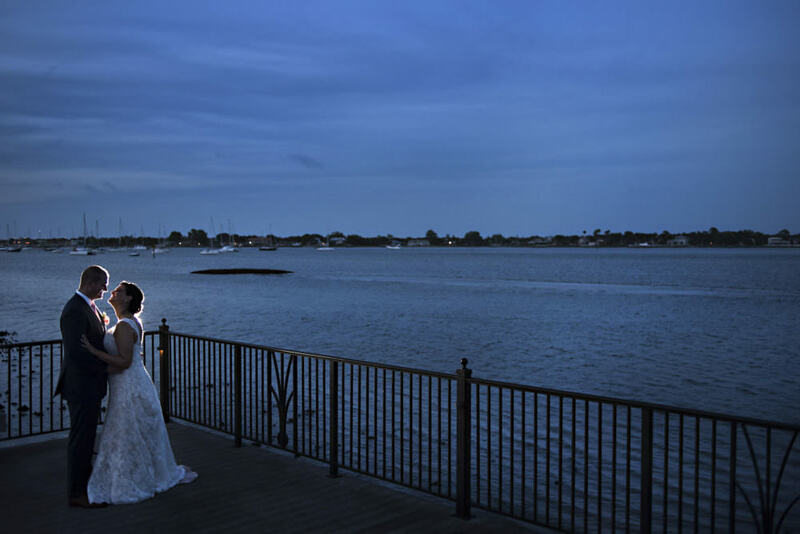 We love the idea that you can hold your ceremony at the waterfront on the back patio to make for a romantic, secluded feeling! Not only is the set up just perfect for your ceremony they have a grand ballroom-like interior with a stunning dance floor. River House truly feels like an escape from the hustle and bustle of the city!